Running in the rain can be fatal for your portable music player. If you're one to not let a drizzle get in the way of your workout, it's best to invest in a waterproof mp3 player. 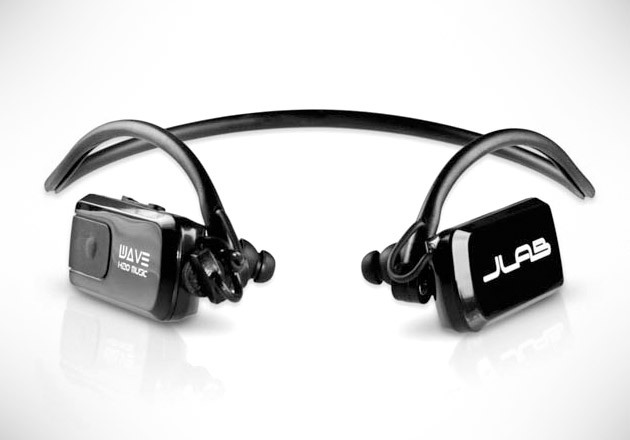 The Wave MP3 Player Headhones by JLab ($80) is 100% waterproof and sweatproof so you can take your music anywhere, even in the pool. It has a cord-free design, a rechargeable lithium-ion battery that can hold up to 10 hours play time, 2GB of on-board memory, rocker control buttons, and 7 pairs of soft noise isolating tips for a custom fit and seal.